View More In Baking Tools. Hoffmaster lotus cup. Made from greaseproof paper. 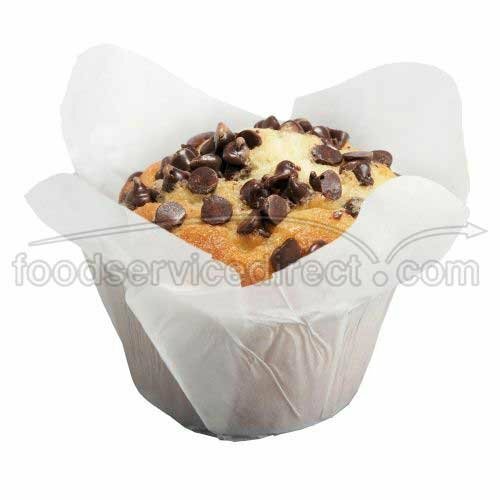 Intended for lining muffin pans, these cups are approved for baking in conventional ovens up to 425 degree F. Display your baked goods and impress your patrons with these elegant lotus cups. Size: large. 4-5-ounces Capacity. White color. Measures 2-inch diameter by 2-3/4-inch height. If you have any questions about this product by Hoffmaster, contact us by completing and submitting the form below. If you are looking for a specif part number, please include it with your message.